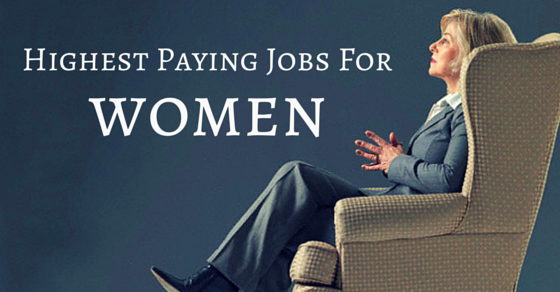 There are various jobs that women can do now, but not all are highest paid. Moreover, no matter how much you try as women the salary that you will get at the end of the month will always be less than that of your male counterpart. Why this happens, there is no real explanation for that, but it is a fact and it holds true for all women working across the globe. You might be hard working and sincere, but when it comes to salary, you will realize that men are earning quite high than you. U.S. Bureau of Labor Statistics or the BLS has analyzed the data of the wages and salary to figure out that the women gets around 17% less than the men. Even where the payout is good, the head count of the women is quite less. There are various positions in healthcare where you will see that women outnumber the men, but then again, it is restricted to very few job fields only. Men are all over the places, but don’t worry though you might not get as much as your male counterparts, still there are some jobs which pay really well. The experts say that disparity between the salary of men and women makes for an interesting study. It has been a longstanding issue for a long time now and though the research systems are getting sophisticated still there are several differences that are not taken into account while calculation and you will see that the difference is always there in the pay scale of two genders. CEO is still the highly paid job for women as well. But, the number of female CEO is just about 21% as compared to the male ones and their earning is 80% of men CEO. There are many high paying jobs and here we have mentioned some of them. The sales and marketing Managers are the ones who are responsible for planning, organizing, directing, controlling as well as coordinating the various activities in the sales department along with the marketing department of the company. Here you will get two major specializations and that are business development and market research. The managers need to have a degree regarding these two specializations or a minimum of 4 – 5 years of experience. Here the average weekly earnings are around $1,127 and median earnings yearly are around $59,000 approximately. For this profession, you need to have good English communication skills and another foreign language and you will be able to work as an interpreter in various places. You can work in schools, hospitals, courtrooms etc. and earn around $43,000 average salary. You will be helping people who are not able to speak one language and make them understand the information correctly. You will need to have the certificates for the foreign language that you speak other than English. If you have enough knowledge of the latest technology, then this job opportunity will be one of the most high paid jobs. It will fetch you around $76,000 each year. It is highly paid, but is also very demanding because you will be at the frontline to prepare software to fight the hackers and also understand how you can prevent the networks from getting corrupted. But, remember you will have to be very good with your job in this. If you find it interesting to conduct survey and also read through the mind of consumers, then this job is a good choice for you. You will have to organize groups, prepare strategies and implement it to gather information about what the customer wants from the products and services. This very job will see a huge increase of about 41% in the near future, but as of now you can manage to get salary around $61,000. Their main aim is to improve the human health in totality. In order to maintain the overall health you will have to research well and that can be done by means of the clinical trials as well as the various investigate methods to reach the final findings. In order to become a Medical Scientist you will need to have a doctorate degree in biology or any other stream of life science. 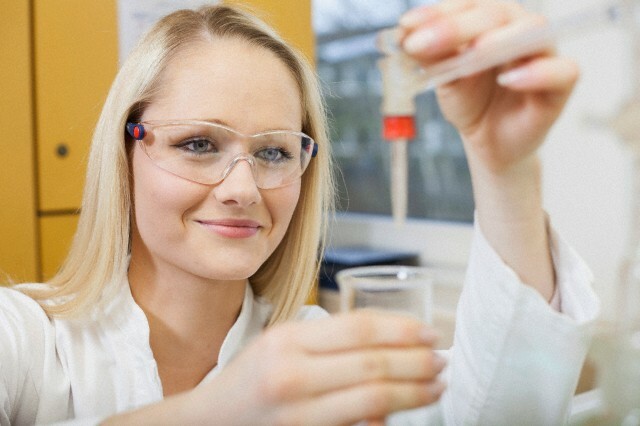 You can also practice as a medical scientist if you have a medical degree. Your median annual earning will be around $59,000 and here you will find 55% women in this profession. You will find the baby boomers, want to fix their pains at home, and for that a physical therapist is very much required. Their payment is around $76,000 and the payment is expected to rise in near future. The hours are flexible and if you have kids at home, then this is one profession which will be just perfect for you. You will be able to take care of your child and also manage to get a handsome amount in your bank account at the end of every month. It is self satisfactory as well because you are able to treat someone to make them stronger as well as healthier. It is a PR job where everything is taken care of online. It is actually improving the image of the company online through Facebook and other social networking sites. You will have to provide the companies with ideas about how to improve their traffic by enhancing the search result. This will help you bag a yearly payment of around $58,000. You will get paid for being online the whole day. Sounds easy, but it is not that easy, you will have to make the websites of the company user friendly and improve the tech presence of the companies. The more the websites are entertaining, the more traffic they will receive and that is the reason you will require up to date knowledge about the social networking sites and latest technologies. There is no need to have some specific degree, but an experience in this field will work for you. The Computer Systems Analysts work is to help the companies work efficiently by studying the computer systems. The procedures as well as the design information will also help you perform better. You will get annual average earnings of $59,000 and for this profession you will require a bachelor’s degree in information science or computer. If you are in love with nature, then landscape designing is definitely your cup of tea. You can design the park or garden and even various other outdoor spaces. Now that real estate business is booming and people want green all around, the landscape architect is picking up and now you can make $62,000 per year. They are also known as healthcare executives who is responsible for all the planning as well as directing in the medical services. You might require to manage the entire facility or you can opt for some specialization. If you want to work ahead in this sector, then you will require a bachelor’s degree. You can earn around $61000 annually on an average. Fitness instructor is in huge demand because more and more people are trying to get fitter and better. It is a low stress job and you can also enjoy the work in comfortable dress as well. Though the payment is around $31000 per year, but the pay is believed to go up very soon. You will require enhanced skills in the field of mathematics as well as computers because of the calculations that you have to make. It will require a bachelor’s degree to fetch an average $61000 per year as your salary. It is mainly said to be the world of men, but women are now making their presence felt in this field as well. You will need to possess good skills of coding and web designing. If you can perform under pressure, then you can pocket in around $81,000 on an average per year by coming up with some cool concept games or building a game from the very beginning. As a management consultant, you are expected to provide information and recommendation to enhance the workplace productivity. You are responsible for advising the managers how to reduce the costs and at the same time increasing the revenues. Here also a bachelor’s degree is required where you will receive an average annual salary of $61000. It is a combination of two most promising fields, one is the health care and the other one is the IT. Your responsibility will be to create database of patients and maintain their records and for doing all of this you will be paid around $83,000 every year. You are responsible for writing the programming codes that will instruct the computer about what it has to do by transforming the software programme into directions which is easier for the computer to follow. So here, you will have to perform troubleshooting or create, adapt and modify the programs and also maintain it to assure perfect operation of the computer. If you have bachelor’s degree in computer science you will be able to do the job successfully and earn around $64,000. If you feel that teaching a classroom full of students is not what you are comfortable in, then you can try your hands at educating adults. You can teach them how to read, write and speak English. Just have your bachelor’s degree ready and you will be able to earn around $47,000 each year through this noble job. There are different kinds of Psychologists. You will find counselling psychologists who take care of mental health and things related to that. They are mostly responsible for the evaluation and diagnosis as well as the treating or studying the action of the mental processes. A doctorate in the psychology is very much required for the job and in here the approximate average yearly salary will be $65,000. Decorate the home of your friends and families to spread the word of mouth and once you start up your own business, then you will be able to make around $46,000 on an average. You can start this business without having any proper degree; the only thing that is required is the eye for beautiful things and an understanding about where to place the things to make the house look beautiful. You are on your own, so no need to worry about anything, including the time of work. Human Resources Managers are the one responsible for recording information about employees. They are also responsible for coming up with suitable compensation as well. There is several other works that they have to accomplish and for that you will get $66,000 average yearly earning. There is no dearth of the aging population and that is the reason it has become important that every household has a home practitioner for them. They make huge money at the end and the figure is somewhat around $177,000. They are better than the MD because you don’t have to work in shifts. They are believed to be a problem solver at a very high level using some sophisticated tools, including mathematical modelling as well as data mining. They are there to help the organization operate smoothly and in order to get a job here you will require bachelor’s degree in business or mathematics or industrial engineering will also do. The work involves research, design as well as testing the software that involves various aspects of software development procedure. Annually you will manage earnings of $72,000 and for this you will have to gain a bachelor’s degree in computer science. CEO is the highest ranking officer who is in charge of the entire work of the organization. If you are the CEO of the public sector, then a business administration degree will work, but if you are part of a big business organization, then you will have to earn a master’s degree and your earnings annually will be $76000 on an average. Previous articleWhy is it Important to ask Questions during an Interview?